Specialty Building Services offers the highest quality operable wall and folding wall services in the San Antonio and Austin areas. 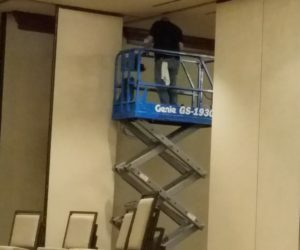 Our team of dedicated professionals has the expertise to help fix any operable wall problems you may have and help provide maintenance for your operable partition systems to ensure they continue working correctly. Check out our list of services below and feel free to use the contact form on the right to request a free estimate from our team. 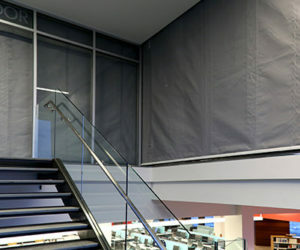 Operable walls and folding walls are great a wide variety of buildings and spaces. Whether you’re looking to add a divider system to your hotel, conference center, church or school, we’ll isntall a high-quality Kwik-Wall system for your space. 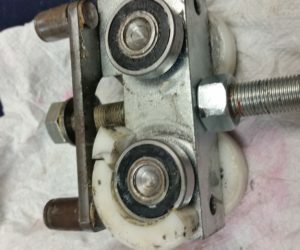 If you have obvious damage preventing the use of your system, it is highly recommended that the tracks or trolleys be repaired or replaced as soon as possible. Damage to one component will only lead to failure in other components. We will present a written document detailing any recommended repairs and will include a proposed parts list if necessary. 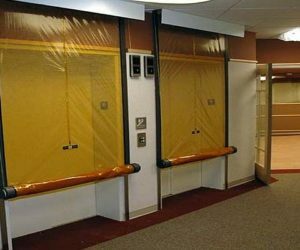 Most damage to operable walls occur because staff is not adequately trained on set-up and care for your walls. We will train your staff how to appropriately use and care for your walls so that repair is kept to a minimum. Specialty Building Services offers a maintenance program to provide routine testing and ensure you are in compliance. We understand the code requirements and have intimate knowledge of the way they work and how to test them. Annual fire alarm testing will not adequately test the units. This only tests fire alarm pull stations and duct damper components. This will not test smoke and fire containment units and most companies don’t even know how. We’ll provide you with a detailed health assessment of your system according to manufacturer specifications. If our routine testing uncovers broken units or you notice broken elements, we will repair them to keep you in compliance. Our technicians know what to look for and how to repair all makes and models of smoke and fire curtains and fire doors. Ready to get started? Great! We’re excited to get to work for you and your business. Please enter your information in this form and we’ll contact you for a free estimate. 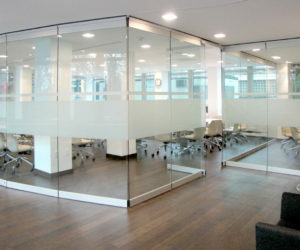 Contact us now to repair or maintain your operable partitions and movable walls.